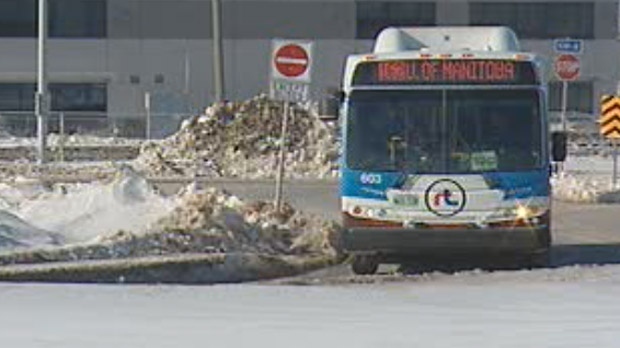 Winnipeggers are encouraged to thank their bus drivers Monday. The city is joining hundreds of municipalities all over the world to mark Transit Driver Appreciation Day. “Through rain, shine or snow, our operators keep Winnipeggers moving smoothly every day,” said Aleem Chaudhary, the president of the Amalgamated Transit Union 1505, which represents Winnipeg Transit. “As we know, Transit operators around the world face challenges and difficulties in the workplace and we’re thankful that there is a day to recognize the public service they offer each and every day,” he added. Simply thanking a Winnipeg Transit driver. The Amalgamated Transit Union 1505 represents over 1,300 transit operators and maintenance workers in Winnipeg and Brandon.